Dietary fiber is not only reliable to help keep you regular but can also benefit in areas like reducing the risk of diabetes, heart disease, and certain cancers. Plus, it leaves you feeling full which means it is a practical benefit for weight management. Add 25-30 grams of dietary fiber to the daily diet plan. Berries are not only packed with antioxidants but also one of the finest choices to add more fiber in the daily diet. The tiny seeds in the berries are able to hold significantly more fiber compared to similar sized fruits. Berries are perfect to eat year-round. Out of season berries are easily preserved in the freezer and make a perfect choice to add flavor to fruit based smoothies. A 1 cup serving of raspberries has 8.2 grams of fiber, a 1 cup serving of blueberries has 4 grams of fiber, and a 1 cup serving of gooseberries has 6 grams of fiber. Berries are added to desserts, salads, yogurts, and break cereal like oats or porridge. Eat bran to efficiently up the intake of fiber. Bran is sourced from several different grains and is high in dietary fiber. For instance, oat bran has 1 ounce of fiber per 12 gram serving. It has a rich concentration of soluble fiber, which is appreciated for its ability to reduce the risk of blood cholesterol. Plus, rice (1 oz / 6 grams), corn (1 oz / 22 grams), and wheat (1 oz / 12 gram) are insoluble types of fiber which is useful for preventing issues with constipation. Bran is easily added to several types of dishes, from cookies, muffins, pancakes, and hot cereal. Leafy vegetables (dark green in color) are high in vitamins, minerals, and beta-carotene, while also offering a reliable source of fiber content. Plants with edible leaves are in the region of one thousand or more and a high percentage includes nutritional qualities. A 1 cup serving of Swiss chard has 4.2 grams of fiber, a 1 cup serving of collard greens has 5.7 grams of fiber, and 1 cup of turnip greens has 5.2 grams of fiber. Easily add the leafy greens to salads and combine with herbs, lemon, garlic, or olive oil to help bring out the flavor. A daily handful of seeds and nuts are certain to provide a healthy punch of dietary fiber. Plus, you also benefit from a bonus top up of phytochemicals, protein, and healthy fats. Fiber content can vary significantly with the different seeds and nuts: a ½ cup serving of pumpkin seeds has 3.1 grams of fiber while a 1 oz serving of flaxseed has 8.2 grams. 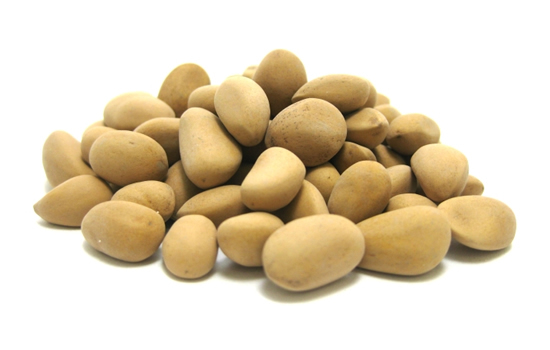 A 1 ounce serving of almonds has 4 grams of fiber and pinon nuts are 12 grams per 1 ounce serving. Similar to bran, seeds and nuts are easily added to a variety of dishes from desserts, yogurt, cereals, and salads. Whether dried or fresh green garden peas, they are certain to be loaded with healthful fiber content. Fiber in sweet peas is a highly beneficial food ingredient. Peas come in many forms: green frozen peas have 14 grams per 1 cup serving, pigeon peas have 9.2 grams per 1 cup serving, and cooked cow peas has 11.8 grams per 1 cup serving. Frozen or fresh peas are easily added to salads, casseroles, side dishes, stews, and soups.